SB Rail held its Safety Stand Down Day on the 4th of May in alignment with Network Rail initiatives taking place all over the country. and Tracey Barber concluding with a session on Mental Health Awareness week. 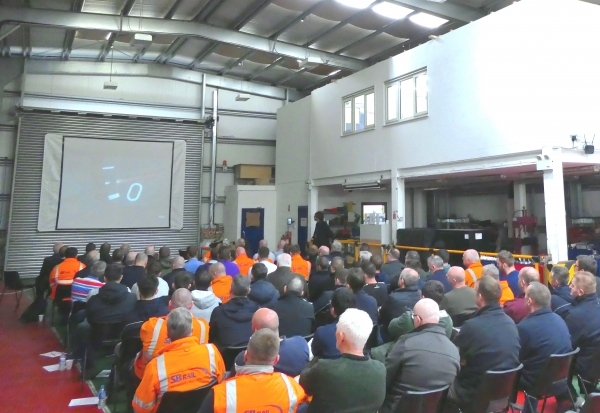 The event was well attended with over 80 people at SB Rail’s Guide Bridge machine maintenance facility, including representation from Network Rail. “It was a useful and well received day, providing updates on various safety matters and allowing interaction between attendees and speakers throughout”.